Form 652 - Complaint Form For Eviction In Cleveland, Ohio. 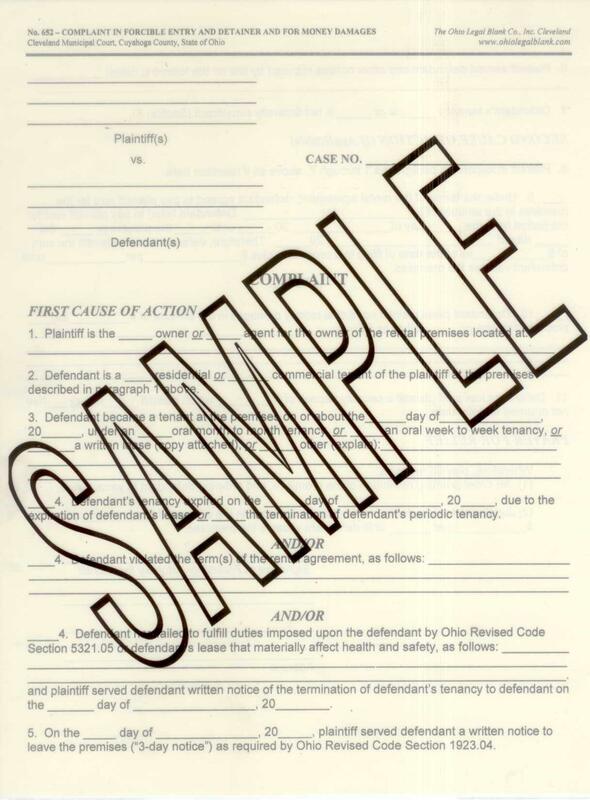 If your rental property is located in Cleveland, Ohio this is the Court form you'll need. This is used for the second step in an eviction procedure. Please see form 67A for the first step.